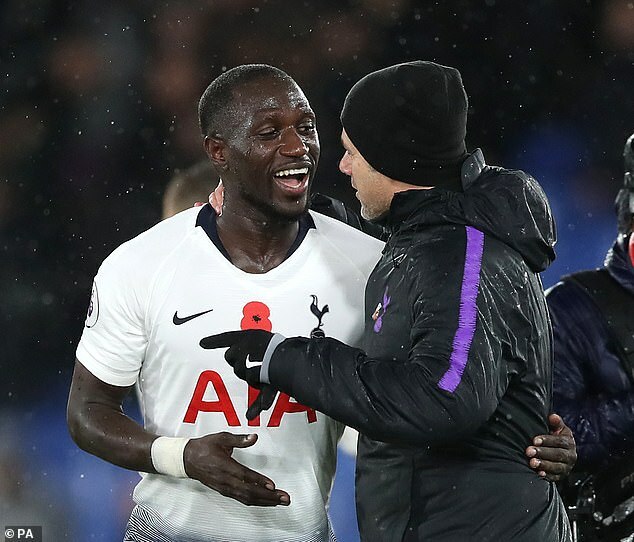 Trust and confidence are they key to Moussa Sissoko’s best run of form since he signed for Tottenham, according to Mauricio Pochettino, who says he deserves the appreciation he is now getting from Spurs fans. 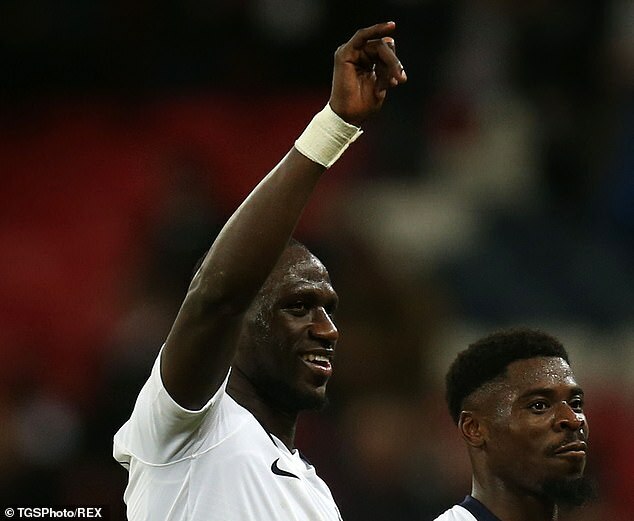 The French midfielder has been a figure of fun for much of his time at Spurs, failing to justify the £30m they spent to sign him from Newcastle after an impressive Euro 2016. 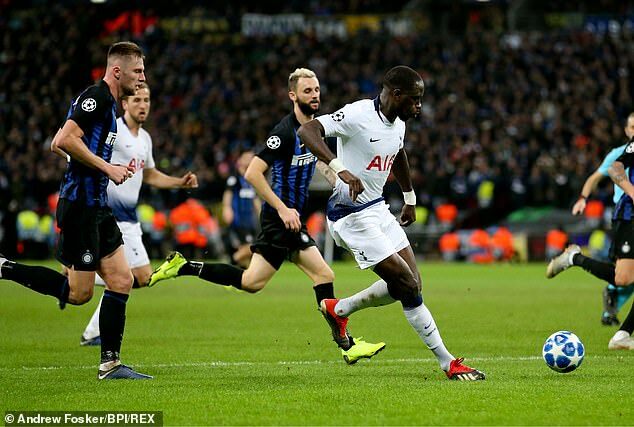 But recent weeks have seen Sissoko thrive for Spurs and it was his powerful run that allowed Christian Eriksen to score a vital goal as they beat Inter Milan to keep their Champions League hopes alive. 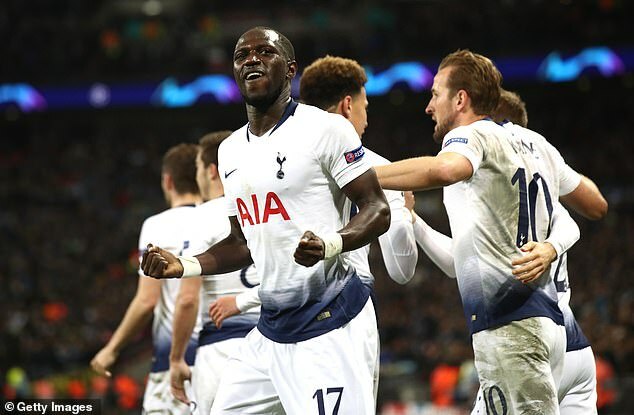 Pochettino insisted that while fans have not always been positive about the 29-year-old, he always kept faith in the midfielder’s ability, and that hearing Wembley sing his name brings Sissoko’s Tottenham team-mates the most joy. 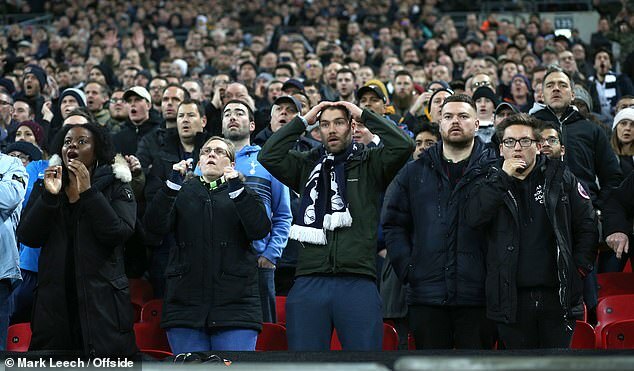 ‘I think first of all his team-mates are so happy that the fans now show the love’ Pochettino said. ‘I remember a few games here that the fans – because we are here, we feel and listen to everything – a month ago were not so positive, last season or the previous season. ‘Then I remember one day that I hugged him and said you’re going to succeed here [and] after I work with him. ‘All the players when we are at this level have the capacity and the quality to play, that is why they are here. Jermaine Jenes feels that Sissoko deserves to ‘get a bit of love’ from the Spurs faithful – who have sung his name in support, rather than jest in recent weeks – after a string of important displays. He feels the freedom that Pochettino talks about is vital, and that it has helped 29-year-old come out of his shell on the football pitch. ‘It can be tough and you need to be able to hand those situations and put yourself out there,’ Jenas explained on BT Sport. ‘It’s interesting to hear Mauricio talk about freedom. You need that as a footballer – the freedom to express yourself. ‘He would have felt very trapped and you take the easy option every time. 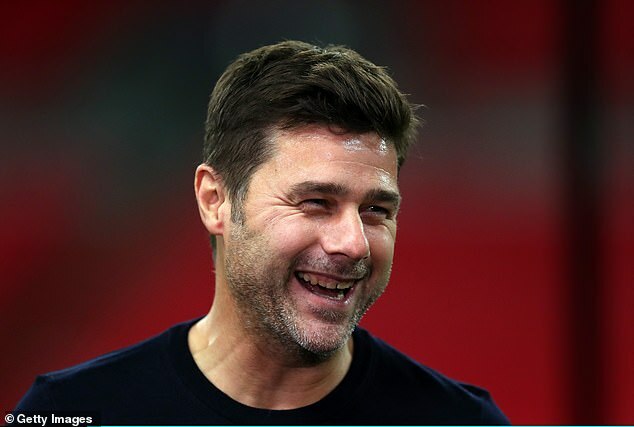 ‘Rather than those driving runs at the end – which is why Spurs bought him in the first place – he starts going “I’ll pass it to the side, because as long as I keep it nobody will boo me”. That’s not what you’re here for. ‘The beauty is he has someone like Mauricio telling him these things,making him feel loved.